WorldMovieStore - In the contemporary half of the story, ex-Mossad agent Rachel Singer (Helen Mirren) tells and retells the story of how she and her fellow agents David Peretz (Ciarán Hinds, Rome) and Stephan Gold (Tom Wilkinson, In the Bedroom) captured and killed a Nazi war criminal. Jesper Christensen (as the Nazi) invests his conversations with Chastain and Worthington with silky insinuation and taunting contempt, building a devastating suspense. --Bret Fetzer. Read More Sinopsis. 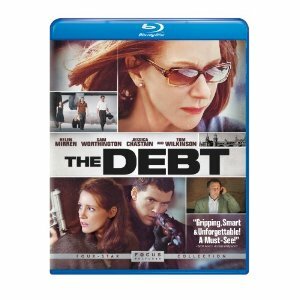 0 Response to "Blu-ray Release The Debt"